It’s 1987 and Rasa has it all; a loving husband and two wonderful children. Gorbachev’s reforms bring hope despite daily struggles, but when Rasa learns that a dissident group is calling for a demonstration with one fragile thought in mind – independence for Latvia – she wants to take part. Rasa soon learns that she has her own fight – for the life of her youngest son – while the country crumbles apart. “Men gather around the little radio, trying to pick up the latest reports. The Prime Minister optimistically announces that it looks like the danger has passed – that it’s all over. ‘Stop! Listen!’ Anton freezes and bends his head. ‘What the hell?’ The strings of distant pops reverberate through the streets. There’s a new series of shots. And then more. John! He said that he’s going to the office. Which means that by now he must be somewhere there. I drop my butter knife and run as fast as I can through the cobbled streets. Some people run the same direction as me, some the opposite direction. The cobbles are slippery, the pathways narrow, and when I finally reach the Powder Tower, I’m out of the breath. 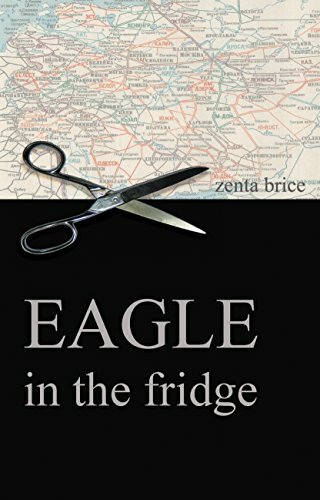 Zenta Brice, a Soviet born journalist and author, usually is plotting her next book in the vegetable patch in the South of France. When not fighting with weeds and words, she can be found watching the news in awe as the world goes to ratshit.